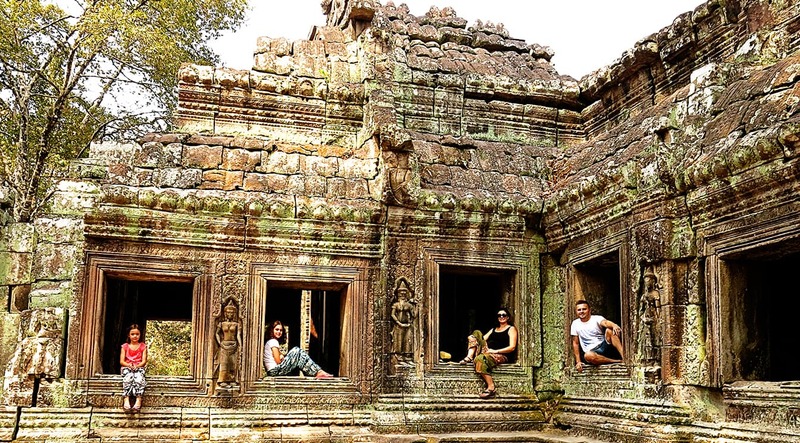 We highly recommend that you explore beyond Siem Reap and the Angkor Temples. Getting from Siem Reap to Phnom Pehn, in Cambodia, is pretty easy and straightforward! Getting around Cambodia does not have to be challenging or scary! If you are wondering how to get from Siem Reap to Phnom Penh or vice versa from Phnom Penh to Siem Reap (in a safe and convenient way), then you have a fabulous guide for you! Other Cambodia transport guides: Siem Reap Airport to Town (or vice versa) and Siem Reap to Sihanoukville/Koh Rong. If you want to get from Siem Reap to Phnom Penh (or vice versa), you have several modes of transport options to choose from: including bus, plane, boat, taxi and mini-bus. As we were traveling with young kids, not even to mention that on this trip I was 22 weeks pregnant as well, we were after something cost effective, but quick and as pain free as we could find. So we settled on plane tickets. Normally I’m a great advocate for ground-level travel as it allows you to see so much more of the country whilst also getting you from point A to B, but as parents we also knew that expecting our kids to enjoy a bumpy 6 hour bus trip might also just be too big of an ask. Never mind expecting the kids or this pregnant lady to wait for the halfway stop on the 6 hour journey, before being allowed a toilet break! So we bought plane tickets for a 45 min flight from Siem Reap to Phnom Penh instead. Easy-peasy! Currently there are three different airlines offering low cost flights from Siem Reap to Phnom Penh. Whilst the cost of the tickets are low (in our opinion), it is also the most expensive way of getting from Siem Reap to Phnom Penh, but also by far the quickest (45 min flights). Both domestic airports are pretty small. I think we went through the whole check-in and baggage scan process in about 10 min at Siem Reap. Phnom Penh airport was definitely busier, but I think we were out in about 30 min. Very smooth, no hassles. The Best Accommodation Options in Siem Reap! Shinta Mani Club – Compare Prices | Read Reviews | Book it Now! Golden Temple Hotel – Compare Prices | Read Reviews | Book it Now! Sofitel Angkor Phokeethra Golf and Spa Resort – Compare Prices | Read Reviews | Book it Now! We chose to fly with Cambodia Angkor Air. This airline has the best reputation out of the three airlines you get to choose from, the reviews I read all mentioned that it is the safest flight option as well. We had a really smooth flying experience. No complaints, plane was on time, no issues at all. Tickets can be purchased online: Average prices are US$49 (flight) + US$20.90 (taxes) and this includes booked baggage of 20kg. You should have a choice between 3 – 6 flight times to choose from, depending on your day of travel. Another airline is available and is worth checking out to see how it compares to Angkor Air. It could be hard to find a direct flight on this one and as we didn't fly with this brand, I can't comment on the quality of the flight. Search for flights on Bayon Airline. Booking only opens up round about 6 weeks prior to your flight date, so no need to be super organised here. Flight time is typically around 2h 05m, so you save more than an hour by grabbing tickets on Angkor Air instead. 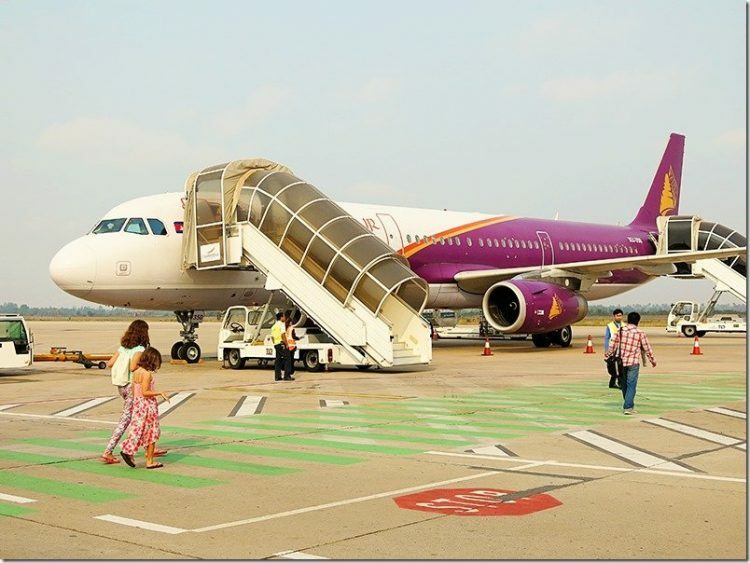 Maybe a riskier choice of getting from Phnom Penh to Siem Reap is to choose this newer addition to the choices on offer for flights, Bassaka Air is another cheap option, however rumours that fly around about this carrier made me doubt whether it was the right choice for us as a family. You can find their website here, again flights are only released about 6 weeks prior to the flying date, so best to wait till closer to time. Choices of flights are limited and will cost you around US$44.55(flight) + US$6 (Taxes) + US$4.45 (VAT) – this includes booked baggage of 20kg. Another option of travel is to grab tickets for the Siem Reap to Phnom Penh bus. Whilst we did not use the bus services on this trip, we did give bus travel a tester on a journey from Phnom Penh to Kep later in our holiday. If you wish to travel from Siem Reap to Phnom Penh, you can expect a journey time of around 5.5-7 hours. The recommended bus option for this journey of 6.5 hours is definitely Giant Ibis. They are the newest company and base their travels around safety rather than just racing at a ridiculous speed to get from Siem Reap to Phnom Penh. Giant Ibis runs both day buses as well as night buses and their journeys included a stop for toilet break and food as well. This bus company offers comfortable reclining seats with seat belts and power outlets to keep your electronics charged up. They widely advertise their WiFi services, however we have seen way to many complaints about WiFi not being available for that claim to be reliable. Where to purchase ticket: You can purchase tickets easily from any tour company around the city, your hotel will be able to help you out with organising tickets too. We just bought our tickets online, that way we could choose our own seats, it was an easy straight forward process. The Best Accommodation Options in Phnom Penh! La Rose Suites – Compare Prices | Read Reviews | Book it Now! 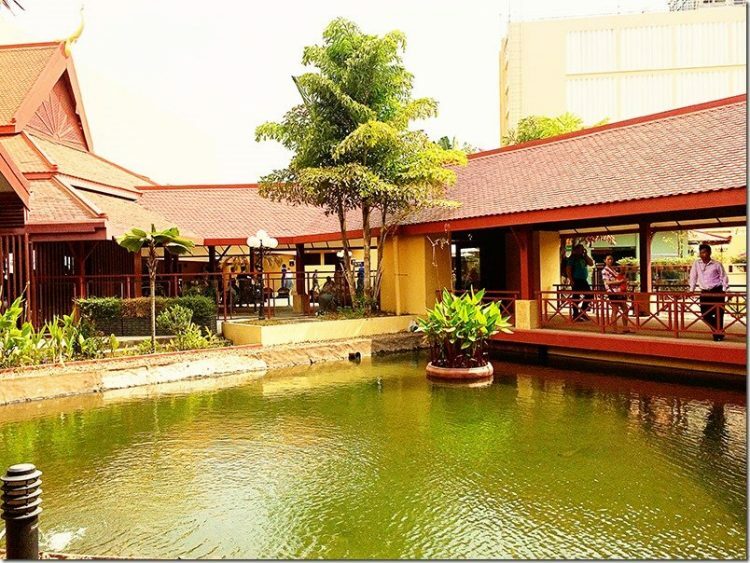 iRoHa Garden Hotel & Resort – Compare Prices | Read Reviews | Book it Now! White Mansion – Compare Prices | Read Reviews | Book it Now! Mini-buses are convenient as they travel faster than the large coach style buses. They cut the trip short by at least 30 min as they generally take 5-6 hours to get from Siem Reap to Phnom Penh or vice versa. There are loads of companies to choose from here. Seila Angkor is a popular choice, although probably the more expensive out of those on offer. Tickets will set you back around US$11-13 per person. You can book them here. However it might be worth your while to have a look at various other options available on the BookMeBus.com site. Choosing to make the journey by taxi will cut down on your time on the road. They typically get you from Siem Reap to Phnom Penh in about 5.5 hours, of course that means that they drive at a faster speed than the buses. 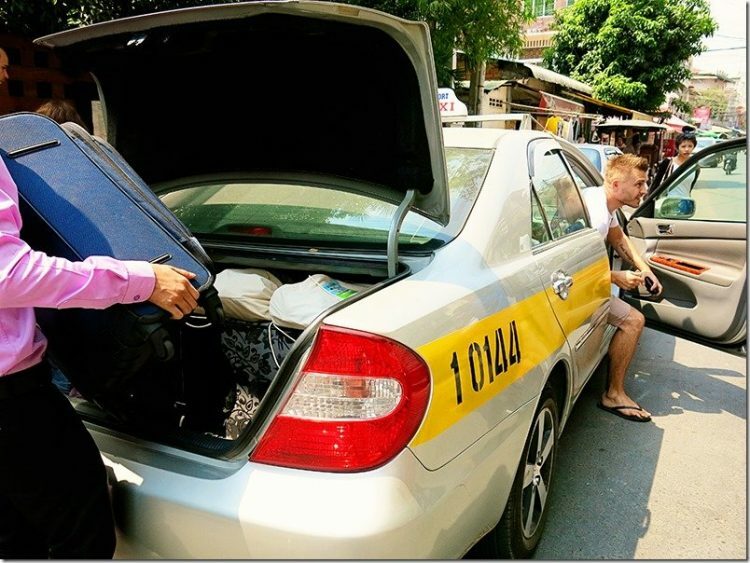 Taxi’s (can fit 4 passengers) costs around $70 – $85 for the journey, do make sure you arrange a set price before you hop into your taxi! Van Taxi’s (can sit up to 15 passengers) are more suitable for families or those with more baggage, don’t assume that they all have seat belts, so do inquire if this is important to you. They cost around $115 – $180, so best to negotiate your price before you leave. During the dry season (when we were there), the boat from Siem Reap to Phnom Penh are not in operation as the water level is too low, however if you are traveling between July – March you can look into the option of getting from Siem Reap to Phnom Penh by boat. From what I have read about the state of the boat and length of journey I’m not sure I would recommend this choice of travel, but I will leave you to make up your own mind. Ferries depart Siem Reap daily at 7am from the dock at Chong Khneas. Tickets are $25-$38 for the 251km journey that last around 4-6 hours. These boats are geared towards the locals rather than tourists, so expect them to be run-down with no life jackets, you may or may not have access to a seat and from what I’ve heard they tend to break down a bit too. 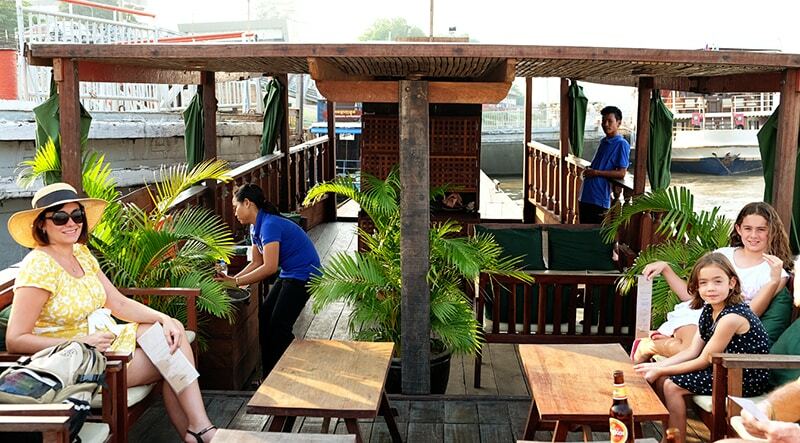 A great local experience plus some great sights of local Cambodian life around the lake. However if you choose to travel on this boat trip from Siem Reap to Phnom Penh – good luck to you haha! 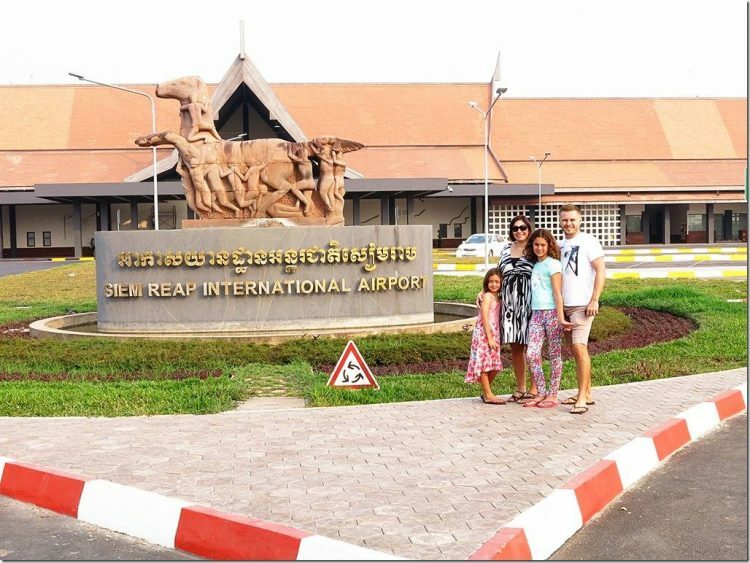 Did you find your answer on how to get from Phnom Penh to Siem Reap? 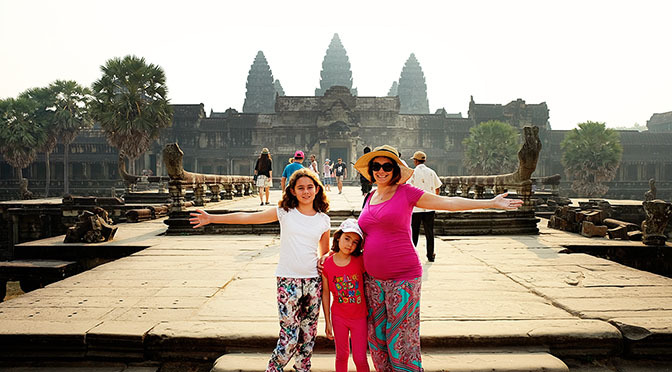 Have you figure out how you would like to travel from Phnom Penh to Siem Reap?